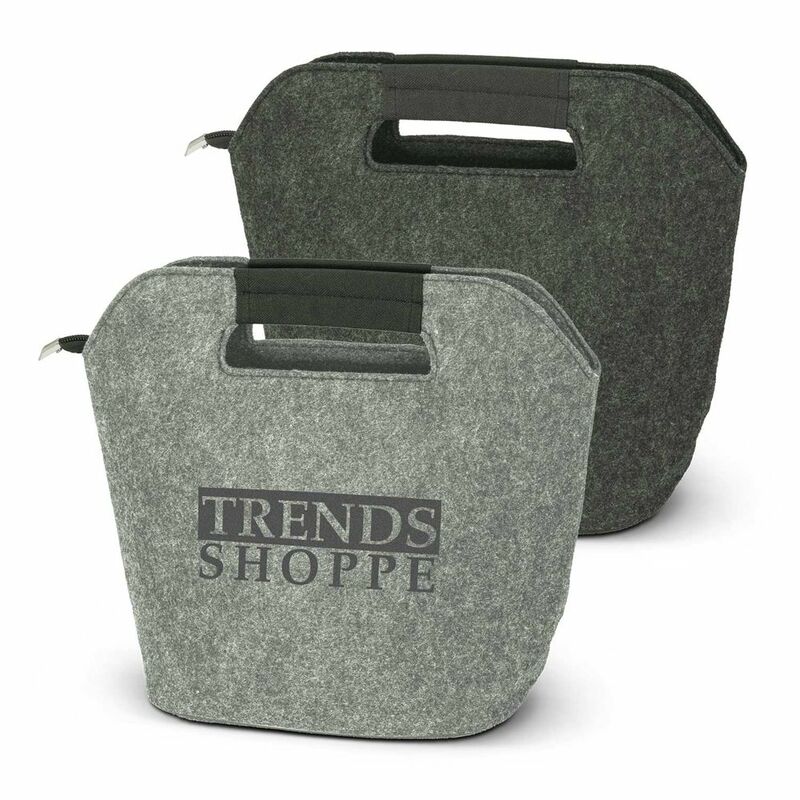 Very smart 11 litre cooler bag with carry handles which is manufactured from poly-felt. It has aluminium foil laminated PE foam insulation to keep food and drinks cool. One colour print pricing. H 265mm x W 310mm x 140mm.